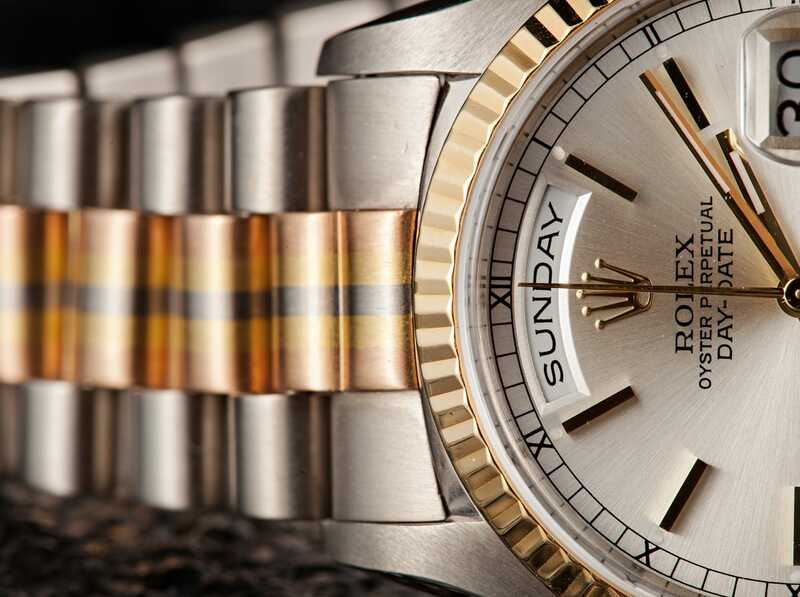 In the late 80’s, Rolex released the Rolex Day-Date Ref 18239. The watch soon became known as the Men´s Rolex Day-Date “President” after President Eisenhower was spotted wearing a Day-Date. This rich and luxurious symbol of accomplishment quickly became popular among the rich and famous. A Rolex Daydate Otherwise known as a President came out with the Tridor. Aside from being the watch of a President, Ref 18239 featured automatic winding technology and a 31 jewel movement. 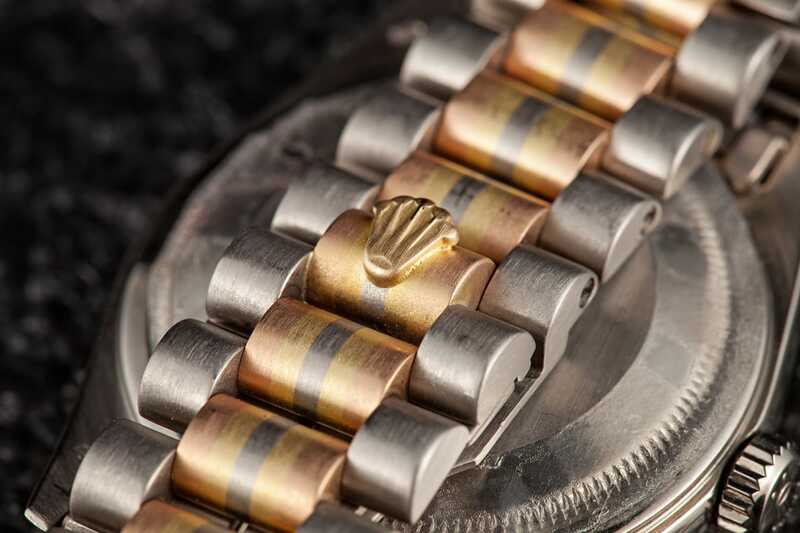 The Rolex President was known for its precision and, with a waterproof Oyster case with a screw down crown, was also known for its durability. An added feature that was extremely popular among consumers was the addition of a date window and a day window on the dial. This made the watch more versatile, serving the purposes of time telling, day telling and date telling. The day window appears in place of the 12 o’clock mark at the top of the dial while the date window appears in place of the 3 o’clock mark. The watch’s dial has a silver finish and can feature either Roman numeral or baton time markers in white or yellow gold. The timepiece was topped with a scratch resistant sapphire crystal with a Cyclops lens over the date display for easier reading. A President Reference 18239 a.k.a. Tridor. 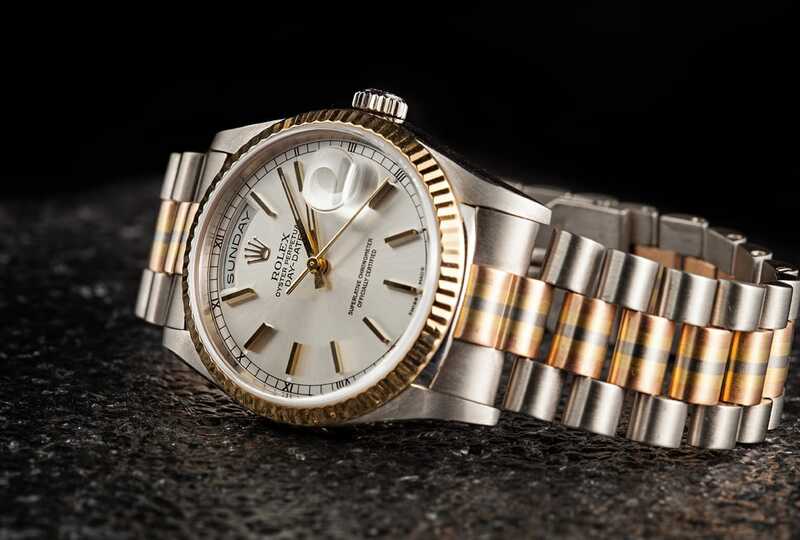 To make this watch even more appealing, Rolex used the finest 18k white gold to construct the case and band. Some versions of the watch feature a yellow gold accent band while others are completely finished in 18k white gold. This use of rich materials makes the Rolex President perfect for a boardroom, a fine restaurant or any gathering. The most obvious thing to note are the colors on the bracelet. The visual appeal and impressive construction of the Rolex President certainly leaves an impression of luxury and success. 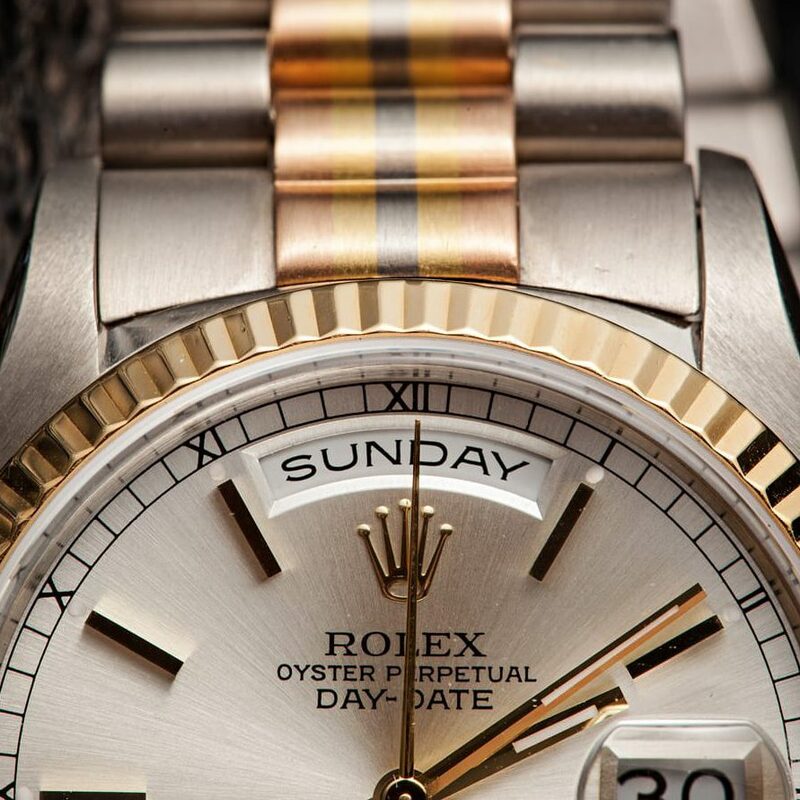 Because of its strong appeal, the Rolex President is highly sought after by collectors. However, prices among Rolex Presidents can vary depending on a number of factors including its release date, dial configuration and the timepiece’s overall condition.